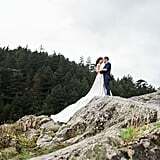 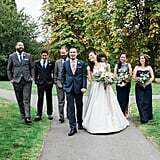 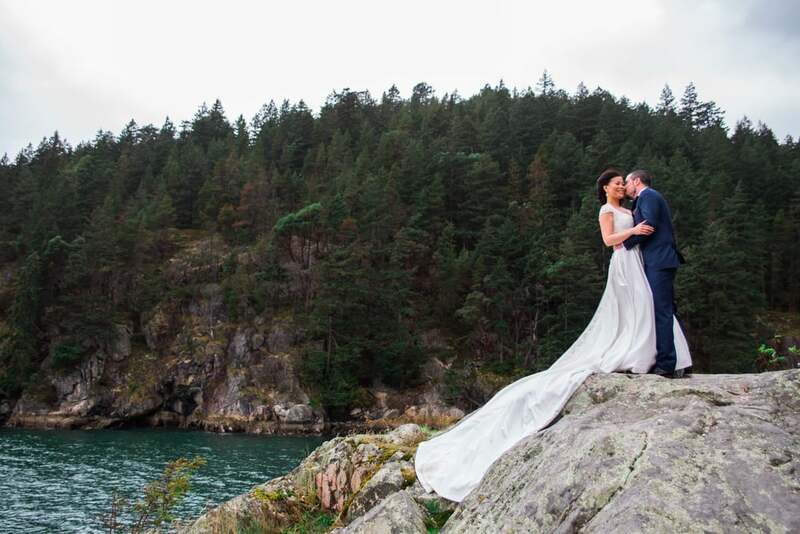 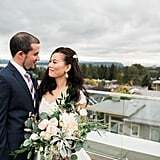 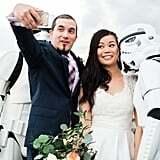 An elegant and stylish Star Wars wedding came to life on Winnie and Danny's big day. 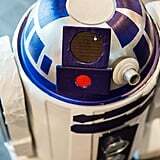 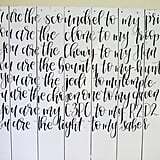 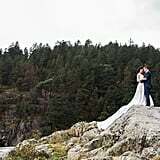 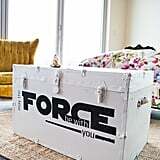 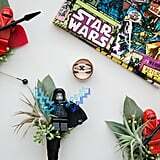 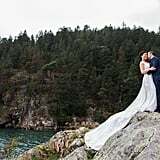 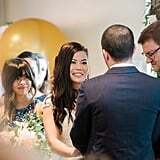 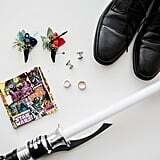 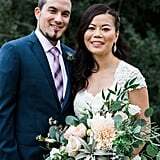 It all started with a geeky proposal when Danny asked for her hand with a lightsaber instead of a traditional engagement ring since Winnie had hinted before that she wanted to keep her hand diamond-free. 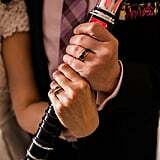 A lightsaber ended up becoming their wedding logo. 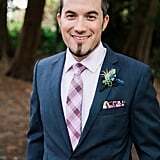 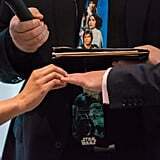 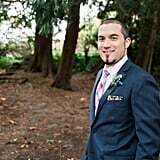 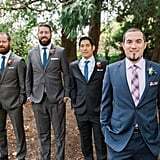 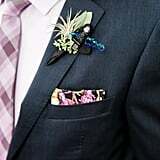 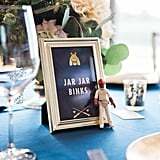 The groomsmen looked adorable yet sharp in their Star Wars-themed socks, hankies, and boutonnieres. 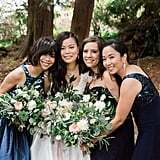 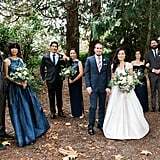 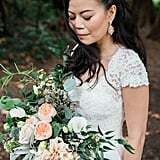 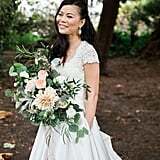 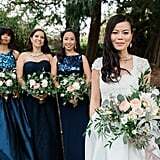 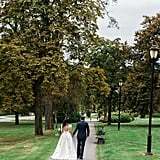 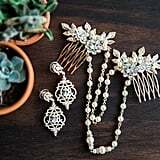 When Winnie and her bridesmaids were ready for photos, they went to a park that held sentimental value for the couple, which couldn't have been more perfect for their "first look." 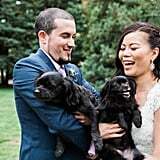 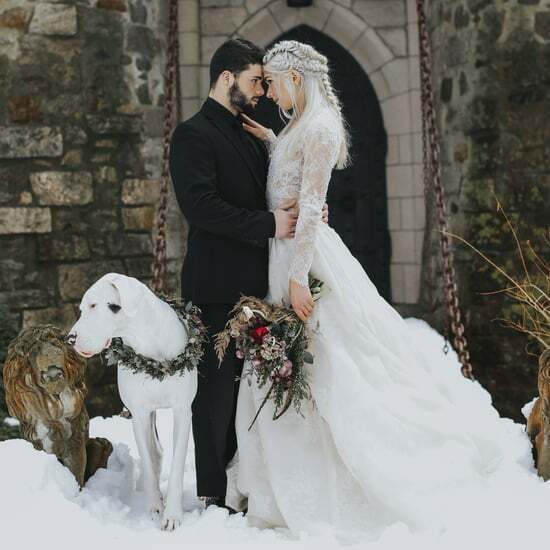 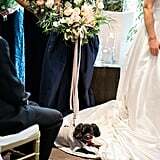 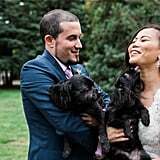 They even got a few "family photos" with their cute dogs, who of course had to be part of their special day. 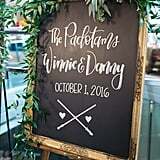 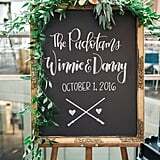 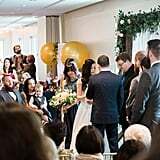 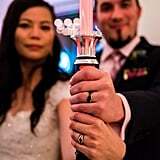 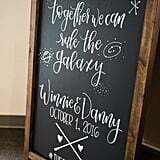 During their ceremony, Danny promised to fight with Winnie against the dark side and their parents crossed lightsabers as a symbol of their unity once the pair was declared husband and wife. 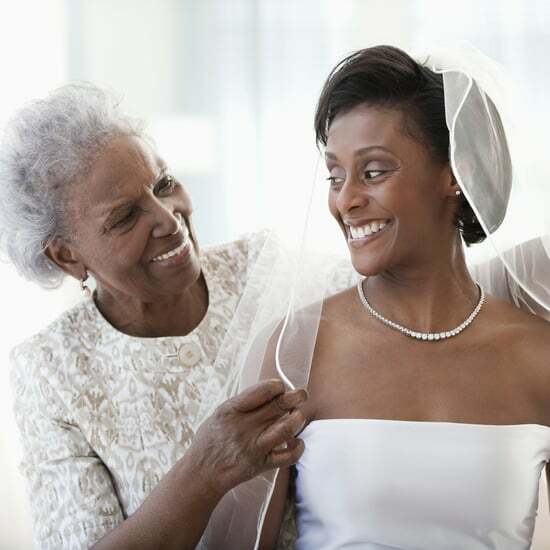 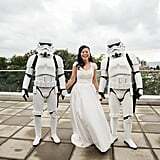 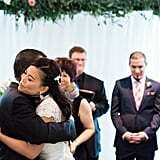 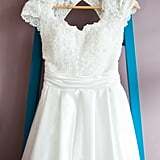 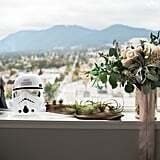 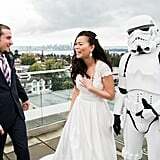 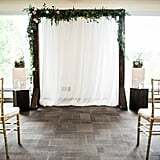 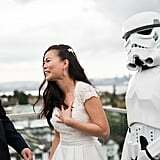 The tears Winnie tried to hold back during their vows flowed freely when two stormtroopers made a surprise appearance. 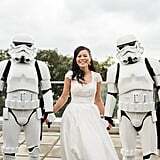 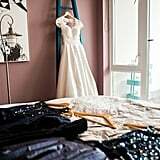 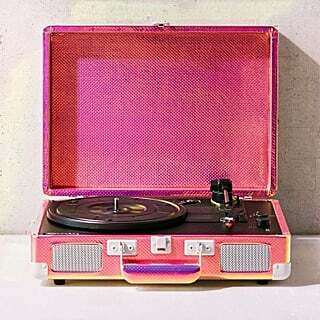 Long before their wedding day, the couple had tried so hard to arrange them to come but without any luck. 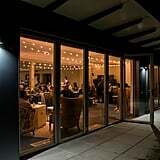 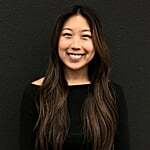 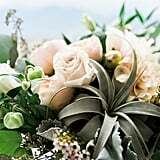 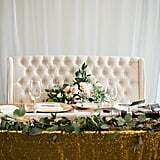 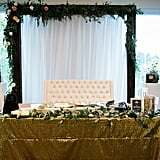 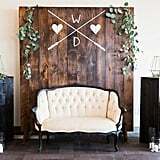 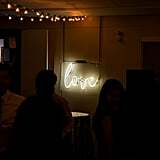 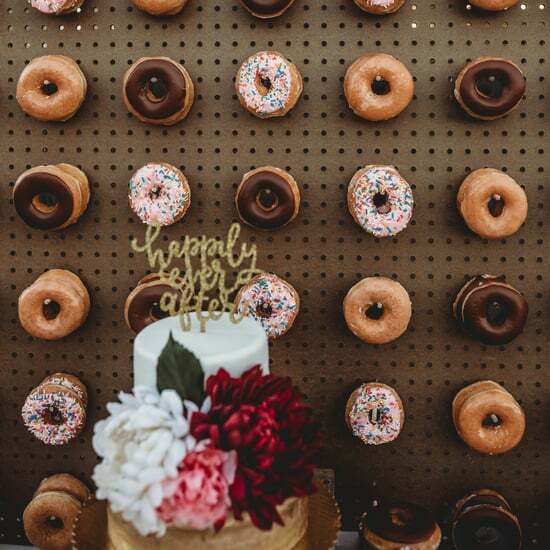 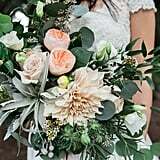 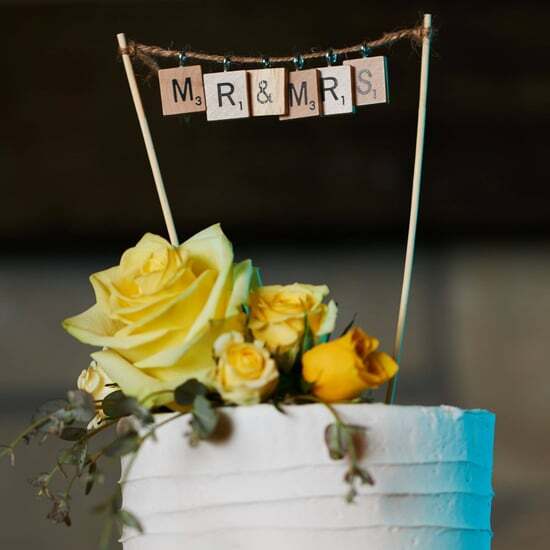 Somehow, Smitten Events, who was in charge of the creative side of their day, was able to pull it off. 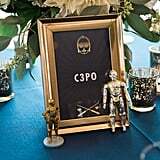 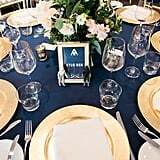 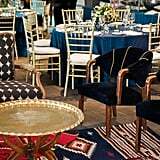 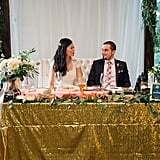 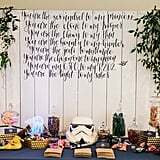 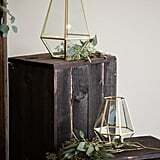 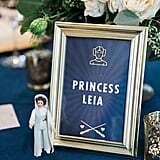 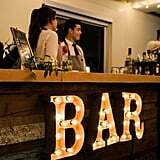 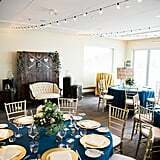 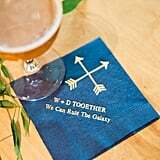 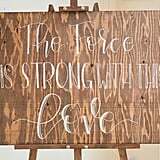 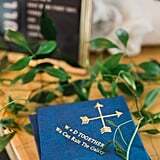 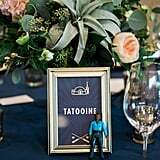 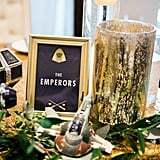 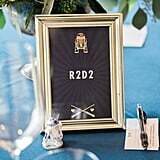 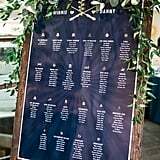 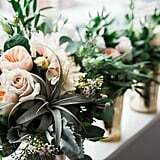 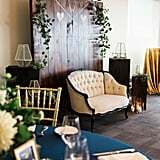 Navy, blush, and gold were incorporated into their wedding details with subtle Star Wars elements present throughout the reception. 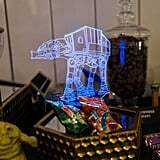 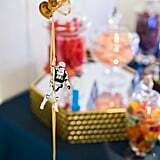 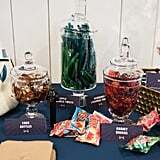 Mementos from Danny's childhood were used as decor and featured at the themed candy buffet, while each guest table was led by a Star Wars character. 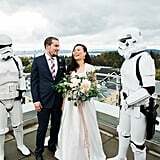 Overall, the Force was strong on this day.